This segment is part of our special coverage of Hurricane Harvey. Learn how Harvey could be a disaster for public health, and how developers are building with climate change in mind. As Harvey battered Houston last weekend and floods inundated Southeast Asia in the days following, many did indeed begin to talk about climate change. Mann and other climate scientists say that climate change has intensified these storms so much that we need a new set of guideposts. Predictions we could’ve made in the past are no longer accurate, and the rules that used to help us plan for events like Harvey no longer apply. We’re left with overwhelmed infrastructure and building codes that don’t take into account new conditions. How, exactly, does climate change affect hurricanes? The contrast in surface and aloft temperatures drives that engine, and, thanks to global warming, surface temperatures are rising significantly. “It’s making those heat engines more efficient,” says Mann. And with more efficient heat engines come more intense storms. While these higher-intensity storms may be considered part of the “new normal” of climate change, Mann says it’s not so simple. 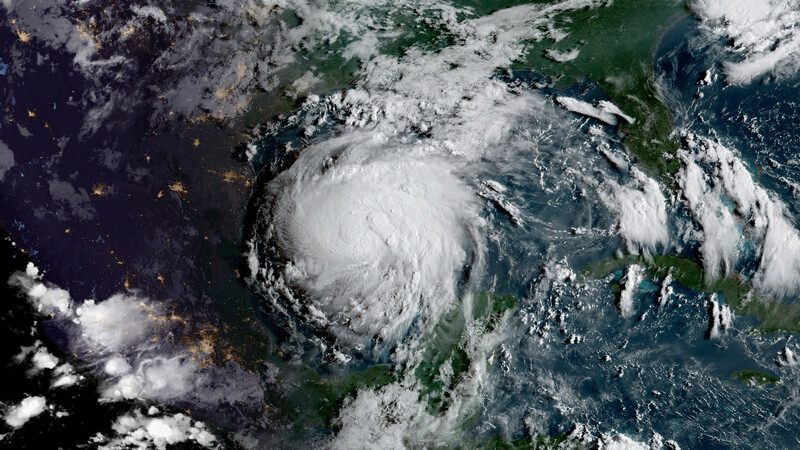 Harvey, for example, created what has been referred to as a “500-year flood.” But, according to local papers, Harvey is the third 500-year event to have hit the Houston area in the past three years. How can that be? That number isn’t a time frame — it refers to the chance that a storm will occur at all. When we talk about a 500-year event, that means that it’s so rare and unusual that, based on chance alone, we estimate that there is a 1 in 500 chance of it occurring in any given year. But those estimates are based on historical data. And that data may continue to change. If we continue down the road we’re on and make no adjustments to climate change, Mann says, then these sorts of events could eventually become two-year or three-year events. So, what do we do? Mann suggests a two-pronged approach. One aspect is implementing adaptive measures that take into account the climate change that is already here. We’ll need to build better and taller seawalls, engineer more resilient infrastructure, and, eventually, slowly retreat from our coastlines, he says. What does that mean? Reducing carbon emissions and moving away from fossil fuels and toward renewable energy sources. Michael Mann joins Ira to further discuss how we can continue to adapt to that “ever-shifting baseline.” In addition, Rachel Noble, professor at the Institute of Marine Sciences at University of North Carolina, Chapel Hill, discusses the chemical and biological factors that come with rising waters, and what sort of bacteria are living in the floodwaters. Finally, Simon Koster, a principal at JDS Development Group, looks ahead to resilient design, and one building in particular in Manhattan that already has been constructed with these adaptations in mind. Neena Satija is an investigative reporter and radio producer for the Texas Tribune and Reveal Podcast, based in Austin, Texas. Michael Mann is co-author of The Madhouse Effect (Columbia University Press, 2016). He’s a Distinguished Professor of Atmospheric Science and the Director of the Penn State Earth System Science Center at Pennsylvania State University in University Park, Pennsylvania. Simon Koster is Principal at the JDS Development Group in New York, New York. Rachel Noble is a distinguished professor at the Institute of Marine Sciences at the University of North Carolina, Chapel Hill in Morehead City, North Carolina.